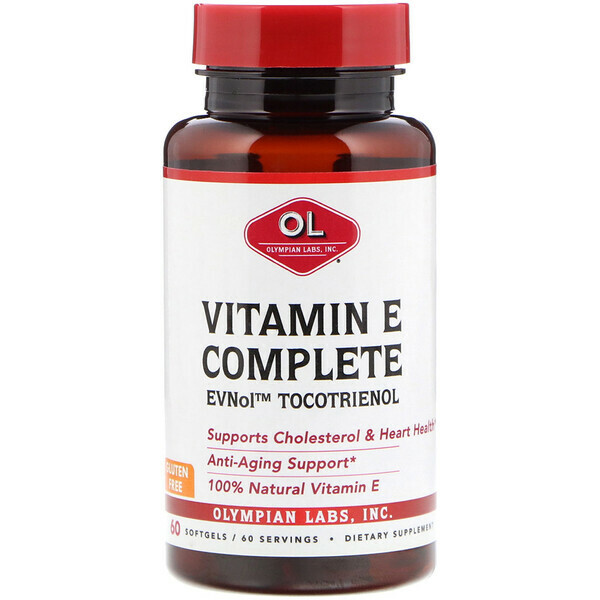 Olympian Labs Vitamin E Complete, Tocomin Tocotrienol delivers high levels of Tocopherols and Tocotrienols that provide antioxidant benefits to help protect a healthy heart and fight signs of ageing. This "E Complex" product represents the most comprehensive balanced Vitamin E formulation. It contains all eight isomers of Vitamin E (d-mixed Tocopherols and d-mixed Tocotrienols) as they occur in nature. Olympian Labs uses only Tocomin brand Tocotrienol/Tocopherol complex which provides the only full spectrum Tocotrienolcomplex of alpha, beta, gamma, and delta Tocotrienols. 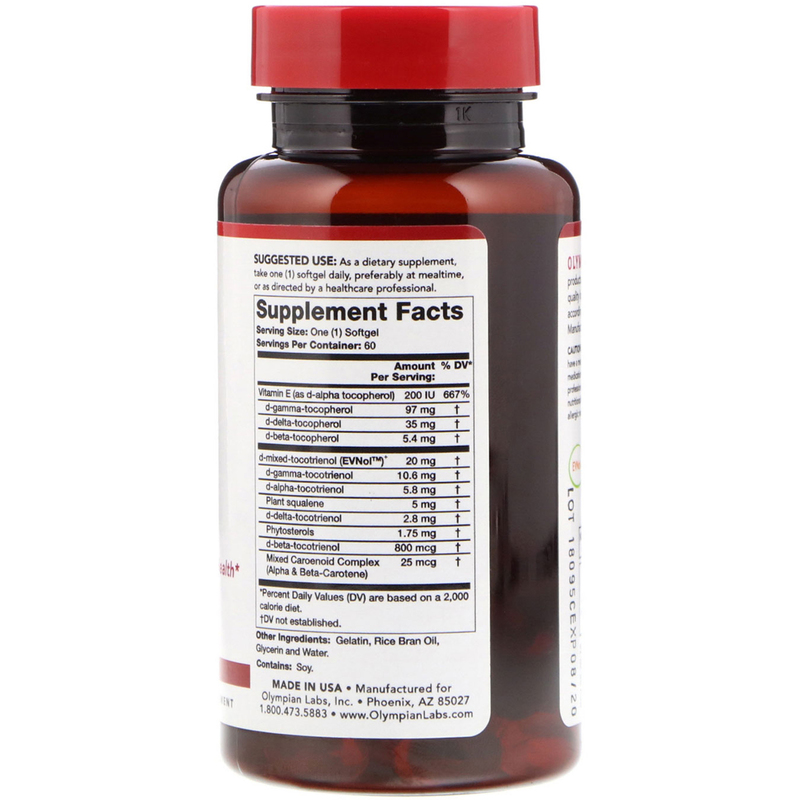 This concentration supports cardiovascular, brain, skin, and hair health. Tocomin is a natural Phytotocotrienol/Tocopherol and is a complex Vitamin E form that is extracted and concentrated from the fruits of palm trees through a patented process, which maintains the natural ratios of the Tocotrienols and Tocopherols. Gelatin, rice bran oil, glycerin and water.